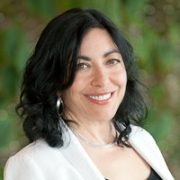 Jennifer Tour Chayes is Technical Fellow and Managing Director of Microsoft Research New England in Cambridge, Massachusetts, which she co-founded in 2008, and Microsoft Research New York City, which she co-founded in 2012, and Microsoft Research Montreal since 2017. These three laboratories are widely renowned interdisciplinary centers, bringing together computer scientists, mathematicians, physicists, social scientists, and biologists, and helping to lay the foundations of data science. Prior to founding these labs, Chayes was Research Area Manager for Mathematics, Theoretical Computer Science, and Cryptography at Microsoft Research Redmond. Chayes joined Microsoft Research in 1997, when she co-founded the Theory Group. Her research areas include phase transitions in discrete mathematics and computer science, structural and dynamical properties of large networks, mechanism design, and graph algorithms. She is the co-author of about 130 scientific papers and the co-inventor of about 30 patents. Chayes has many ties to the academic community. She was for many years Professor of Mathematics at UCLA. Chayes serves on numerous institute boards, advisory committees and editorial boards, including the Boards of Trustees of the Institute for Computational and Experimental Research in Mathematics (ICERM) and the Center for Discrete Mathematics and Computer Science (DIMACS), the Scientific Advisory Boards of the Simons Institute for the Theory of Computing (of which she is Chair) and the Gordon and Betty Moore Foundation, and the Advisory Committees of the Howard Hughes Medical Institute Janelia Research Campus and the Mathematical and Physical Sciences Directorate of the National Science Foundation. In addition, Chayes is on the Advisory Board of the Association of Women in Mathematics (AWM), the Committee on Women in Science, Engineering and Medicine (CWSEM) of the National Academies, and the Board of Directors of the Center for Minorities and People with Disabilities in IT (CMD-IT). Chayes is the past Chair of the Turing Award Selection Committee of the Association for Computing Machinery, past Chair of the Mathematics Section of the American Association for the Advancement of Science, and past Vice-President of the American Mathematical Society. Chayes received her B.A. in biology and physics at Wesleyan University, where she graduated first in her class, and her Ph.D. in mathematical physics at Princeton. She did her postdoctoral work in the mathematics and physics departments at Harvard and Cornell. She is the recipient of the National Science Foundation Postdoctoral Fellowship, the Sloan Fellowship, and the UCLA Distinguished Teaching Award. Chayes has recently been the recipient of many leadership awards including the Massachusetts Technology Leadership Council’s (MassTLC) Distinguished Leadership Award, the Leadership Award of Women Entrepreneurs in Science and Technology, the Leading Women Award of the Girl Scouts of Eastern Massachusetts, the Catalyst Award of the Science Club for Girls, the Women to Watch Award of the Boston Business Journal, and the Women of Vision Leadership Award of the Anita Borg Institute. She has twice been a member of the Institute for Advanced Study in Princeton. Chayes is a Fellow of the American Association for the Advancement of Science, the Fields Institute, the Association for Computing Machinery, the American Mathematical Society, a National Associate of the National Academies, and an Elected Member of the American Academy of Arts and Sciences. Chayes was the recipient of the 2015 John von Neumann Lecture Award, the highest honor of the Society for Industrial and Applied Mathematics. In 2016, Chayes was awarded an Honorary Doctorate by Leiden University in the Netherlands. Chayes is well known for her work on phase transitions, in particular for laying the foundation for the study of phase transitions in problems in discrete mathematics and theoretical computer science; this study is now giving rise to some of the fastest known algorithms for fundamental problems in combinatorial optimization. Chayes is one of the world’s experts in the emerging field of network science, particularly in its mathematical and algorithmic foundations. She is well known for her work in the modeling and analysis of random, dynamically growing graphs, which are used to model the Internet, the World Wide Web, social networks, and networks in computational biology. Chayes is one of the inventors of the field of graph limits (graphons), which are now being used extensively in the machine learning of massive networks, both theoretically and in practice. Among Chayes’ contributions to Microsoft technologies are the development of methods to analyze the structure and behavior of various networks, the design of auction algorithms, and the design and analysis of various business models for the online world. Chayes lives with her husband, Christian Borgs, who also happens to be her principal scientific collaborator. In her spare time, she enjoys overworking. For more details, download the detailed CV here.